A year after Cyclone Debbie devastated the Whitsunday Islands in Queensland, Australia, their Tourism Industry Development Minister Kate Jones announced AUS$2 million to fund six tourism projects in the region. One of the funded projects is ‘Whitsunday Reef Recovery and Public Art’. This project, and the team, embrace the objectives of the International Year of the Reef. 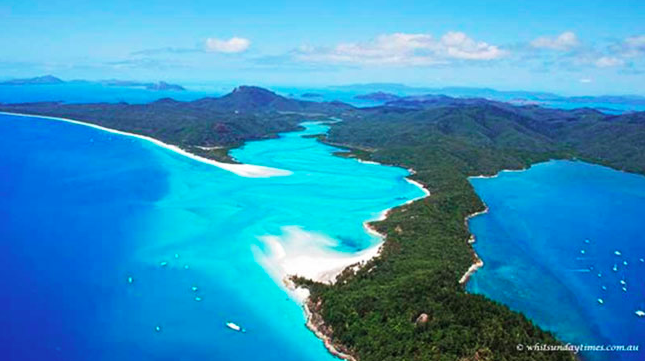 The Whitsundays are one of Australia’s most popular and beautiful tourist destinations. Each year hundreds of thousands of visitors from Australia and abroad flock to the region to enjoy the tropical Queensland sunshine, swim in the sparkling blue waters of the Coral Sea, relax on bright white sandy beaches and explore the kaleidoscopic world of colourful coral and reef fish. Reef Ecologic Pty Ltd is managing the ‘Whitsunday Reef Recovery and Public Art’ project and have identified some great opportunities to improve existing tourism products and attractions and link these with new products and attractions through the development of the Whitsundays reef and island learning trial involving art installations combined with marine rehabilitation. Marine public art is well known and admired in the Whitsundays region. Underwater art installations are increasingly being considered as a strategy for increasing public engagement and awareness around coral reefs and the challenges they face, and for complementing the range of tourism opportunities provided by natural features. Reef Ecologic have released a ‘Call to Artists’ for future stages of the art project with a deadline of 10th August for $450,000 funding. Full brief for potential artists can be found here and an online application form here. For further information please see the Reef Ecologic website.